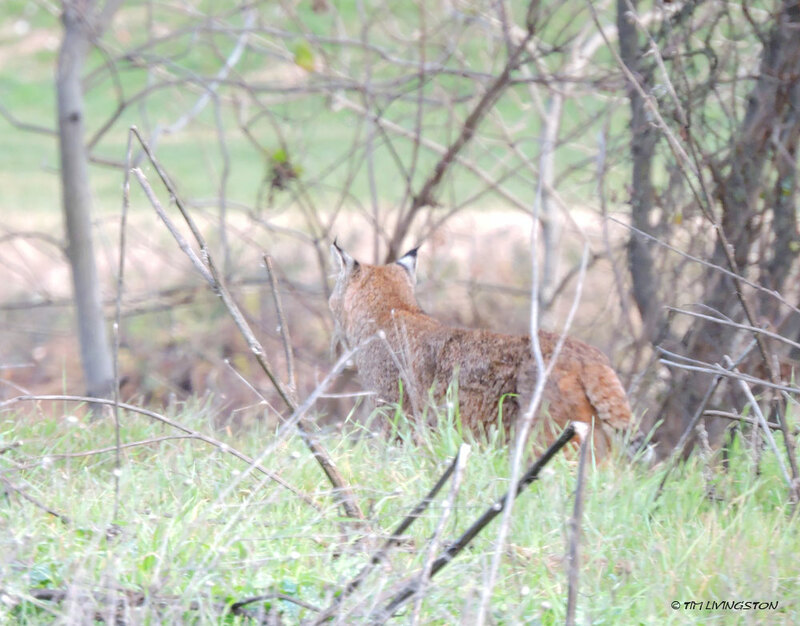 The big male bobcat slinks away. I had to go to the mill on Monday to do log inventory. It was a holiday and there were only a few folks at work. It was unusually quiet. I drove around the backside of the log deck only to have a large bobcat cross the road in front of me. Immediately, I stopped and grabbed my camera. Standing on the seat and door handle I had a great view of the cat. He’d stopped and was looking back at me. It was perfect ….. except, I had my SLOW camera. By the time it went through its agonizing start-up cycle the bobcat crept off. I managed only one picture before he slipped away toward the river, fading like the Cheshire Cat.